Apple confirmed yesterday that its new security chip T2 – which it uses in MacBooks launched this year – will prevent third-party repairs to some degree. 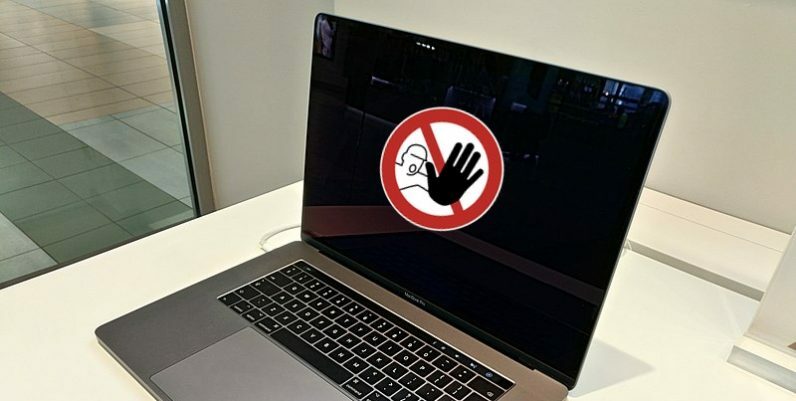 Responding to a query from The Verge, the company verified that parts like the logic board and Touch ID components for the new Macbooks can’t be replaced by a third-party repair shop – and so you’ll have to visit an authorized Apple service center to get your laptops fixed. However, it didn’t confirm if this extends to last year’s iMac Pro – the T2 chip’s first host. Details about Apple’s new chip blocking third-party repairs surfaced last month, when Motherboard and MacRumors got their hands on an internal document. It suggested that a special piece of software – available only to authorized service centers – will check if the replaced parts are authentic. The new chip’s job is to make the boot process and Touch ID more secure. So it makes sense that Apple is preventing unauthorized shops from replacing critical parts. However, it’s unclear if the T2 chip also restricts replacements for more common parts like the display, speaker, and keyboard. Intriguingly, Apple seems to have not activated third-party repair blocking just yet. In an experiment, iFixit was able to replace the screen, logic board, and Touch Bar in a new MacBook Pro by using components from a MacBook Pro purchased this summer. Apple confirmed to The Verge that a configuration software is not required to validate screen replacement. Of course, the company could flip the switch on this at any time. Meanwhile, Apple is trying to make certain component repairs less painful. According to a report by MacRumors, it’s now easier than ever before to replace the battery on the new MacBook Air. The company is currently fighting “right to repair” legislation in the US, which would require hardware companies to make repair parts, repair guides, tools, and diagnostic software publicly available. The problem of Apple preventing third-party repairs not only affects the cost of ownership of its products, but it could also spell trouble for service centers outside of the company’s network. But if the replacement limit is on a few parts, it probably won’t debilitate your neighborhood repair shop. We’ll have to wait and watch if more common parts’ repairs are restricted by the T2 chip.